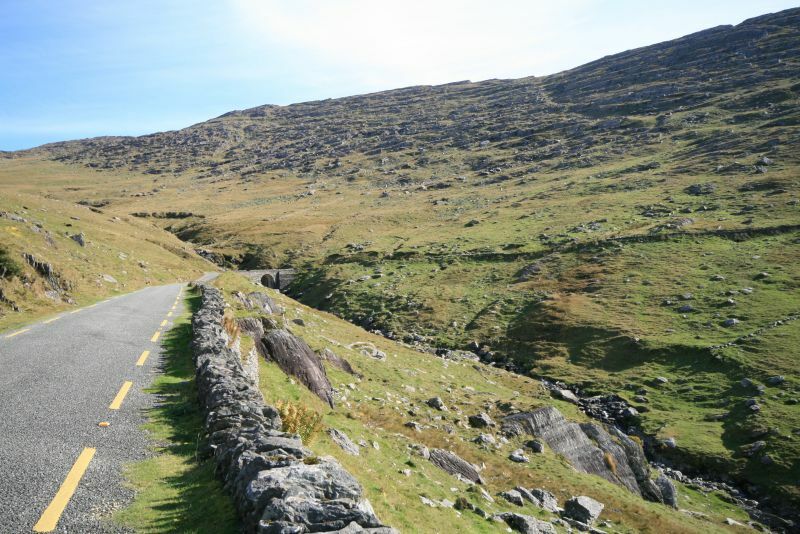 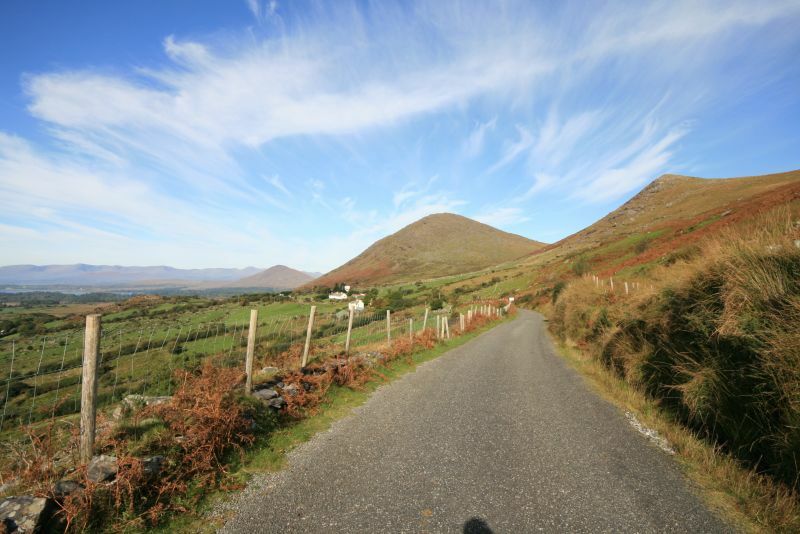 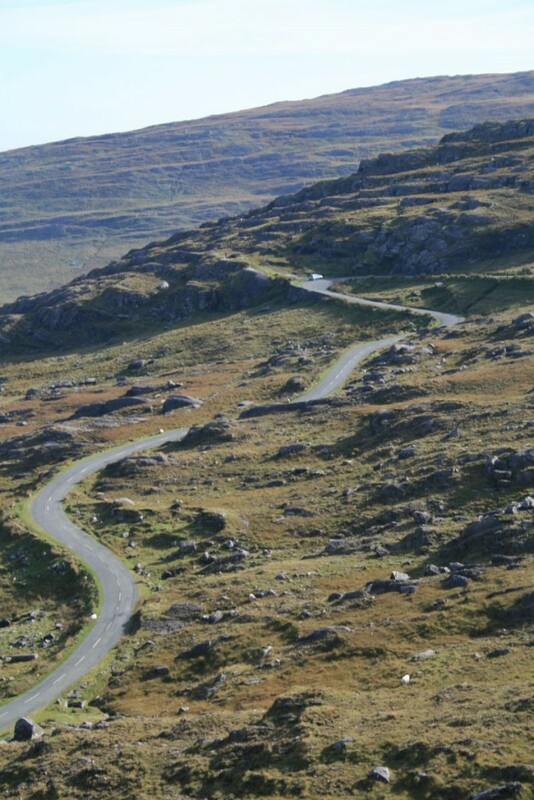 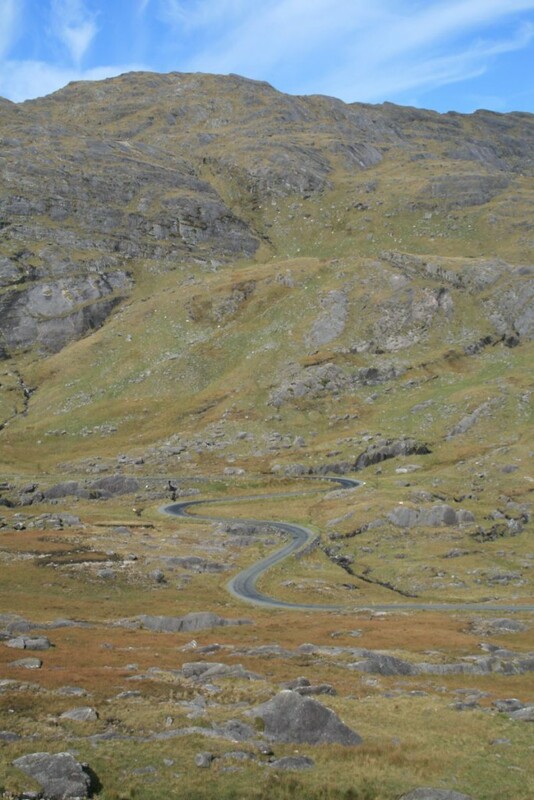 The Healy Pass is one of the most spectacular mountain roads in the whole of Ireland. Winding its way up the steep sides of the mountains it climbs from Adrigle in Co Cork to the summit on the border with Co Kerry and down the other side to the village of Lauragh. 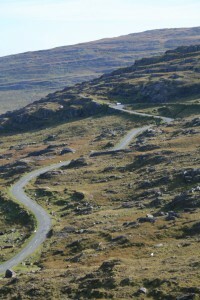 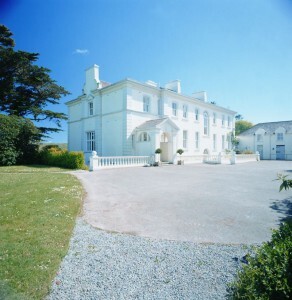 It is strikingly beautiful and unspoilt, and each side of the Pass offers different landscapes. 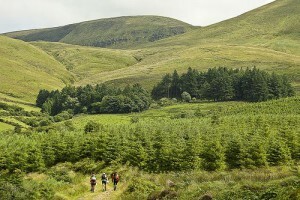 The Cork side is wild, heather moorland – vast & open tracts of bog and river that haven’t changed in thousands of years. 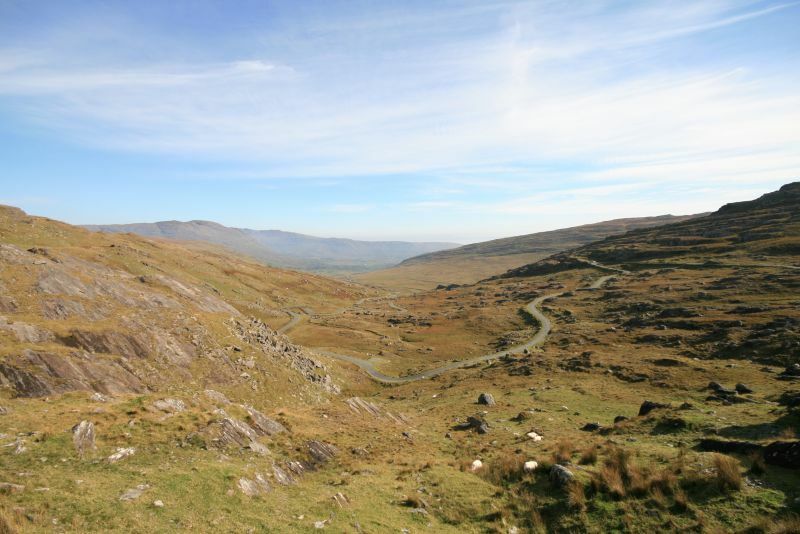 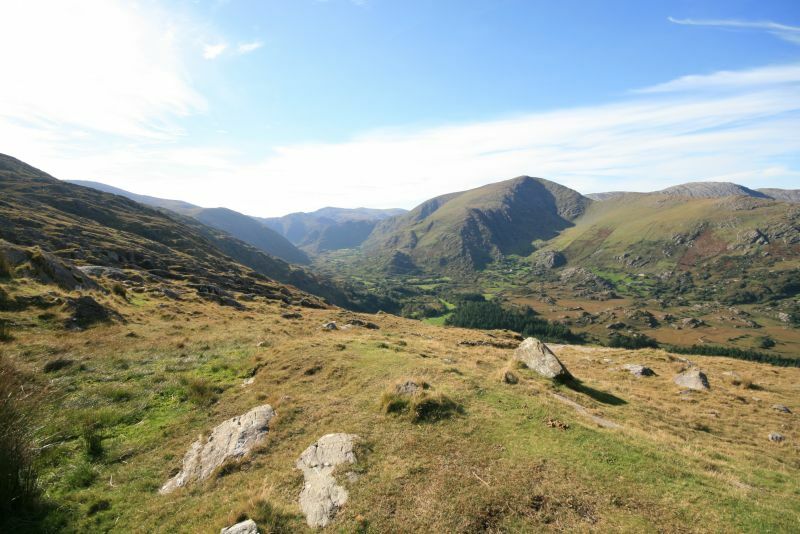 Sheep cling to the hillsides to eat whatever grass they can and the single track road winds perilously up through the valley to the summit with some spectacular hairpin bends – ideal for car commercials! 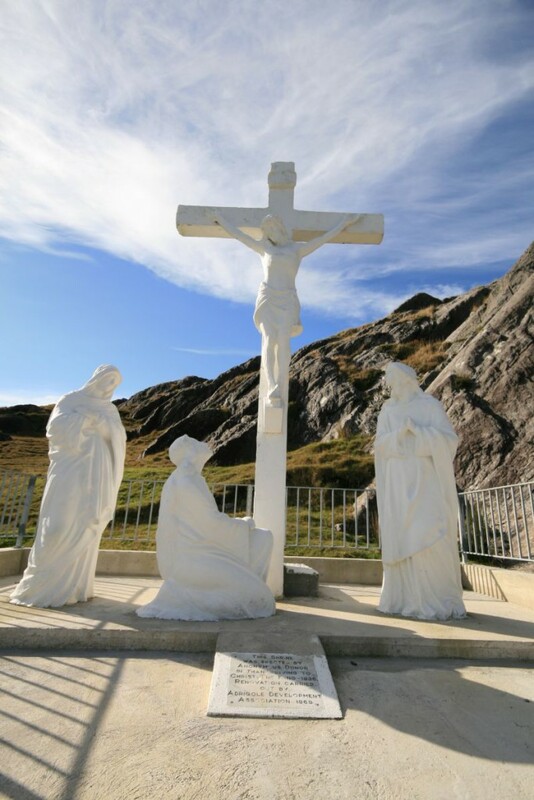 At the summit is a striking statue of Jesus on the cross. 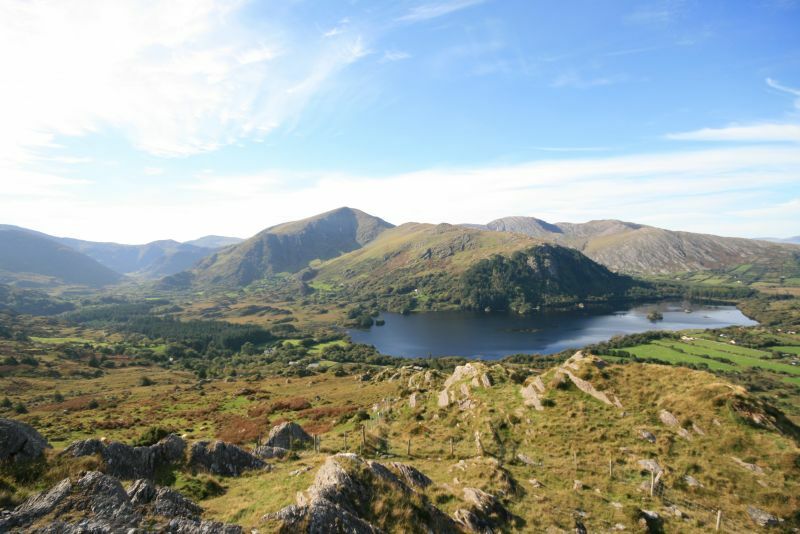 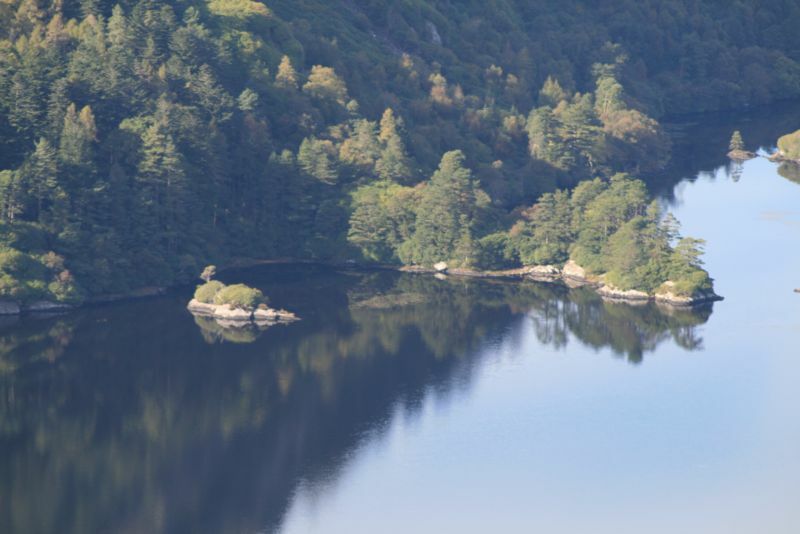 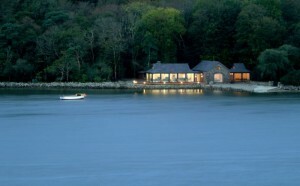 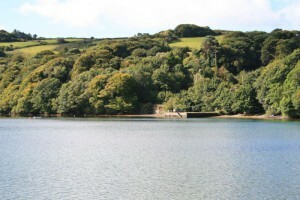 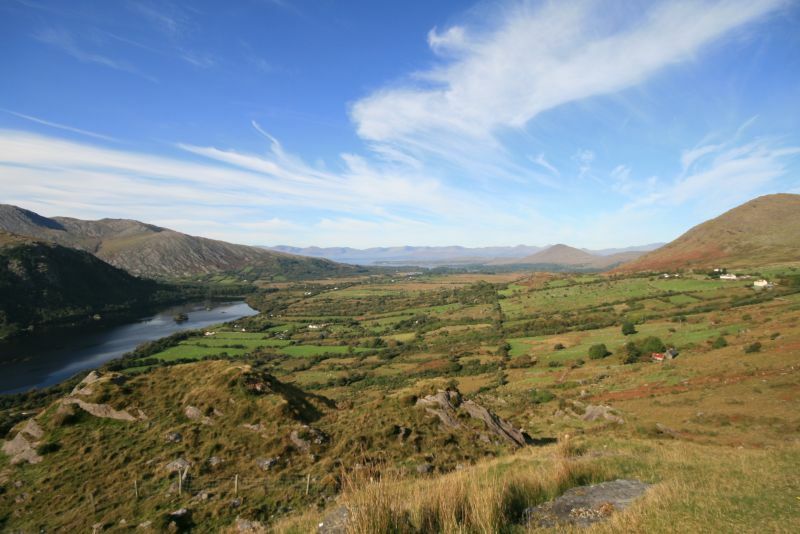 The other side is markedly different – immediately the landscape changes to reveal forested hillsides and a lake below, which is reminiscent of Switzerland, and beyond the distant backdrop of the Kerry Mountains. 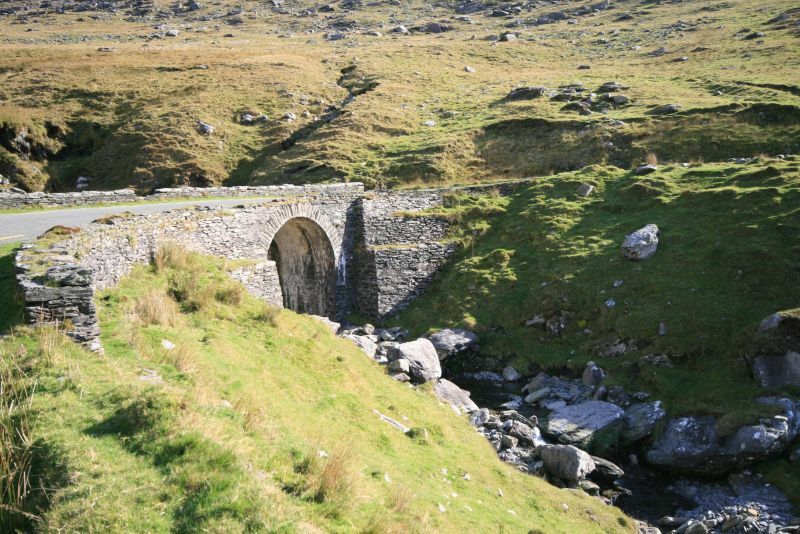 The road here is also splendid for driving shots and panoramic views as it winds down vertiginous slopes and over some very pretty little stone bridges to the meadows at the foot of the valley. 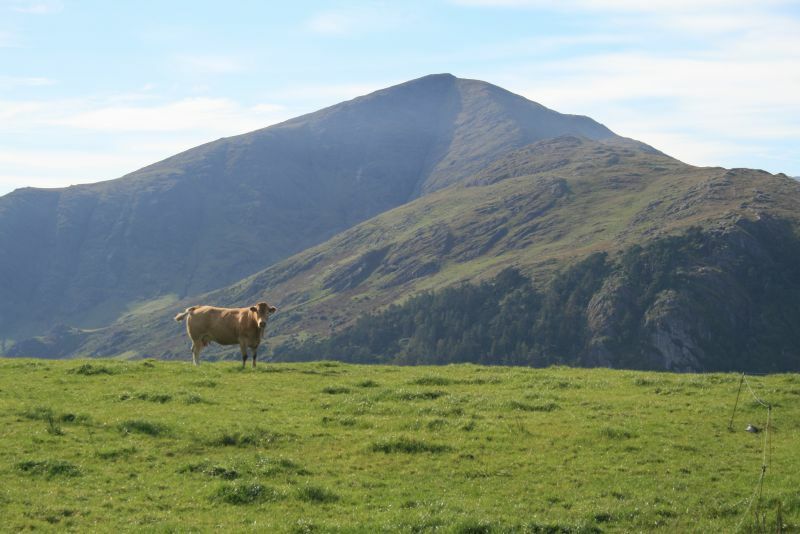 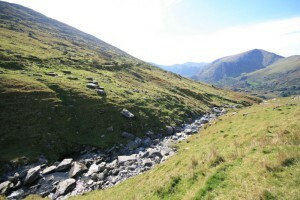 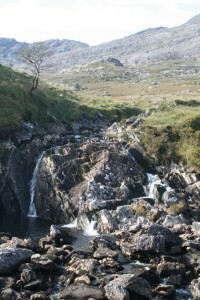 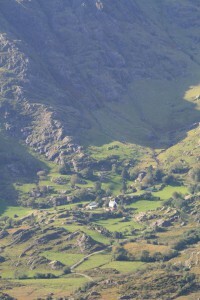 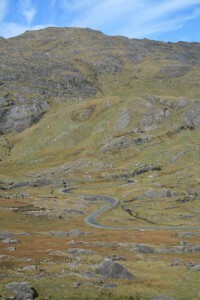 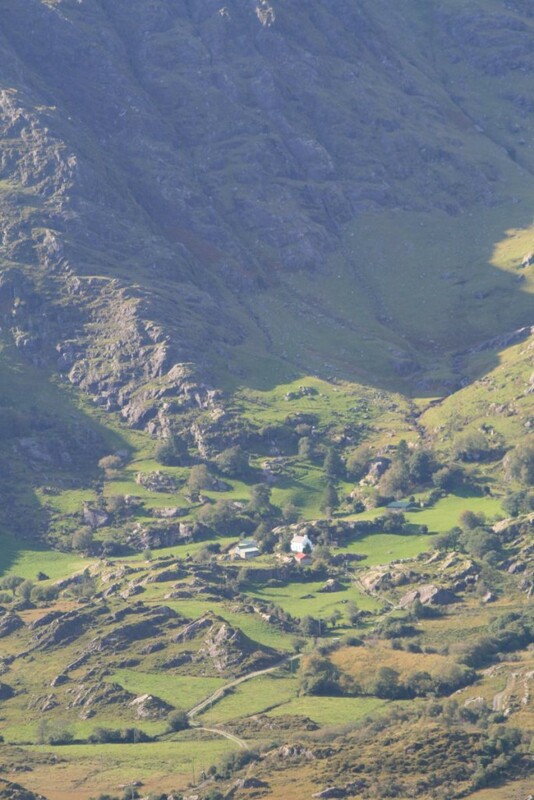 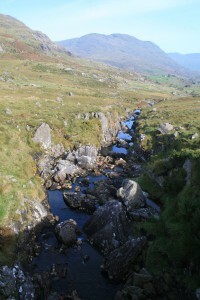 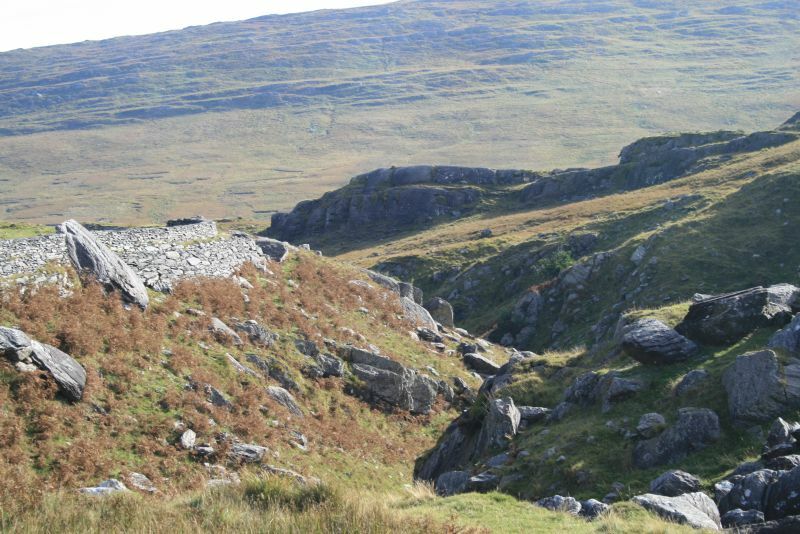 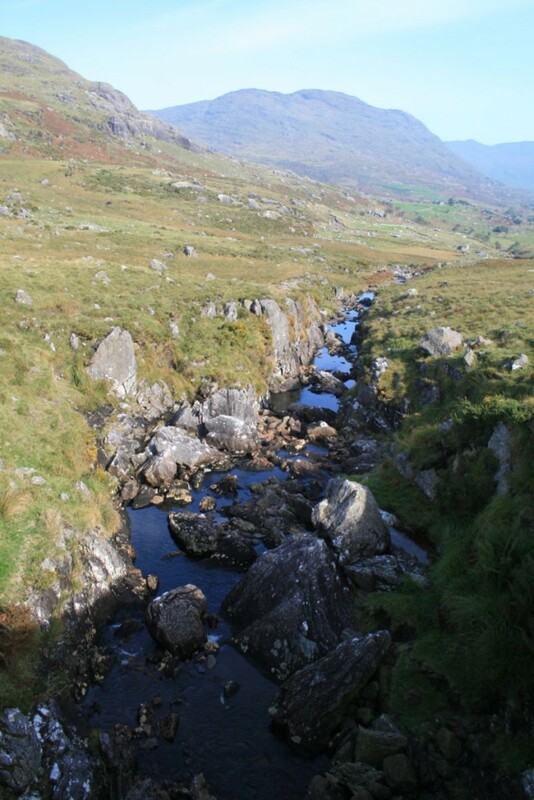 The Healy Pass is an extraordinary location offering a wealth of different filming possibilities.